Huge sale! 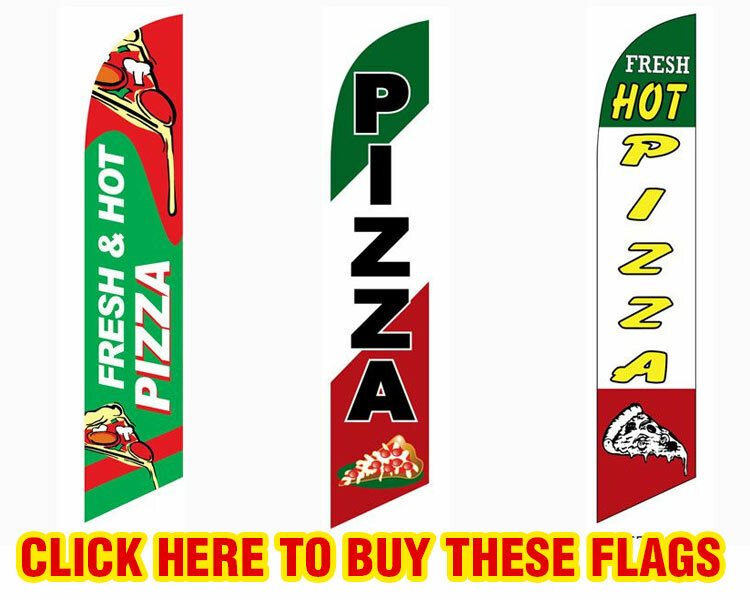 perfect to advertise any pizza location, these flags are super cheap $14.99 you can’t beat that price!. At feather flag nation you can find many stock pizza feather flags ready to ship made with high quality materials. Pizza feather flags are a perfect way to advertise your pizzas at a very low price compare to other services, our feather flags are ready to assemble and super light weight. Missing instructions? no problem call us and we can guide you on how to put your feather banner flag together. Double your Sales by buying a pizza banner flag, Make your pizza location more visible to everyone now. Our feather flags are super easy to set up and anybody can put them together in no time! Watch the following video to see how easy is to set up our flags also named swooper flags or banners flags.